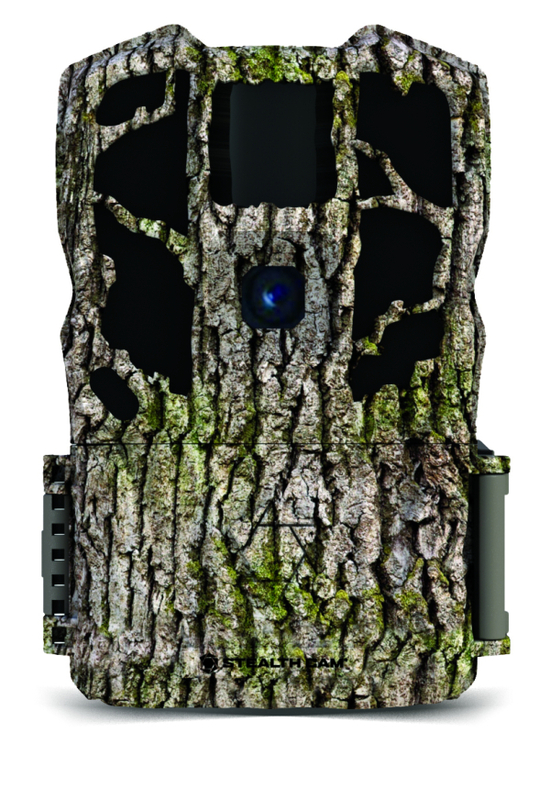 Stealth Cam® engineers know the biggest game animals come out at night; that’s why the company developed the new G45NGMAX—a trail camera that has no match in capturing high-quality stills and video! The G45NGMAX advantage starts with Stealth Cam’s next-generation, high-resolution night imaging technology, which produces 26MP photos to capture crisp still images across the camera’s 100-foot flash range. This exceptional imaging comes courtesy of 45 NO-GLO IR emitters combined with integrated Retina™ Low Light sensitivity, Matrix™ Advanced Blur Reduction and the super-fast 0.45-second Reflex™ Trigger system technology, deliver the most reliable nighttime performance to ensure the big bucks are captured on camera. In addition to its unrivaled nighttime operation, the G45NGMAX offers diverse setting customization to achieve the best imaging and video results regardless of the terrain or site layout. They’ve upgraded from 720p to 1080p with a Sony image sensor only found previously in their DS4K series. Utilizing an intuitive menu and easy-to-see backlit LED programming interface, the G45NGMAX also allows the user to set numerous still and video capture parameters. Setting options include HD video recording from 5 to 180 seconds, a burst mode that can take from one to nine stills per trigger event, and precise recovery time-out that covers 3-59 seconds or 1-59 minutes. Data logging features time and date, moon phases, temperature, and GPS meta-tagging provide essential information for documenting game activity and planning future hunts. Other attractive features of the G45NGMAX include a card slot compatible with SD cards up to 512GB, Secure Lock password protection to prevent tampering and minimize theft, an external jack to accept power via a 12V battery, adjustable PIR range control to match environmental conditions, and 1080P video with H264 compression for faster upload to external platforms. To learn more about the G45NGMAX and other Stealth Cam products, please visit http://www.stealthcam.com. For more information, contact: Stealth Cam, LLC, 3385 Roy Orr Blvd. Grand Prairie, TX 75050, Phone: 877-269-8490, or email info@stealthcam.net. Stealth Cam is a division of GSM Outdoors. Learn more about their family of brands at http://www.gsmoutdoors.com. For over 18 years, the GSM Outdoors family has been strongly dedicated to bringing the greatest innovative consumer products to market through some of the most well-respected brands in the outdoor industry. They have grown to cover a wide variety of outdoor products to meet all your hunting, shooting and outdoor needs. Their extensive brand portfolio includes Stealth Cam scouting cameras,Walker’s hearing protection & enhancement, Muddy blinds & tree stands, Boss Buck & American Hunter feeders, New Archery Products (NAP) broadheads & ground blinds, Western Rivers game calls, Hawk & Big Game tree stands, HMEhunting accessories (Coyote Light & Scent Slammer), SME shooting accessories (Bullseye), Crossfire Holsters, Cyclops light accessories, andViking Solutions. Get the most out of your outdoor experience with GSM Outdoors!